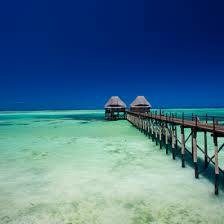 This place is full of royal and historic hotels consisting of luxury spas. Traveling through various landscapes and exploring the lush vineyards of the various Valleys to the calming fishing villages of the Algarve’s. 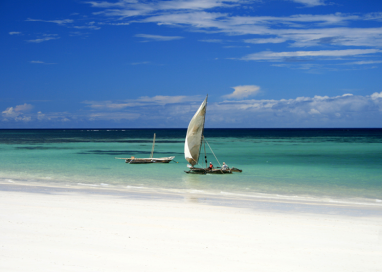 Many special experiences will be organized, Thus making this honeymoon unforgettable. One can meet Portuguese aristocrats, passionate wine-developers and brilliant chefs. One can have a private chauffeured luxurious car for the whole tour, and can just sit back and let the driver take you from one beautiful place to the next. 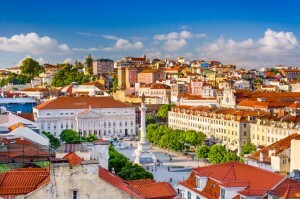 Lisbon is the heart of this place, the streets that are running parallel to the famous pedestrian street Rua Augusta. It’s a must watch. This place also stretches along the banks of the Atlantic Ocean. This place also houses various tradesmen and craftsmen. One can find jeweler’s shops in the Rua do Ouro (Gold Street) and the Rua da Prata (Silver Street).While in Lisbon dont forget to visit the Alfama, the old hilly area of Lisbon that survived the destruction of the earthquake. It was once the most sophisticated residential area of the city in Moorish times. The place is so captivating and tempting that it becomes difficult for the couples to resist themselves from going there. Blossoming Mediterranean climate, sunny beaches, fabulous picture some towns. One of the best and romantic places in Portugal. House too many fabulous cuisine and affordable rates. This place also has some renowned golf courses. Fortaleza de Sagres (a fortress built in the early 15th century) is a must visit. These are eyes appealing historic sites where couple roam and create exciting moments. 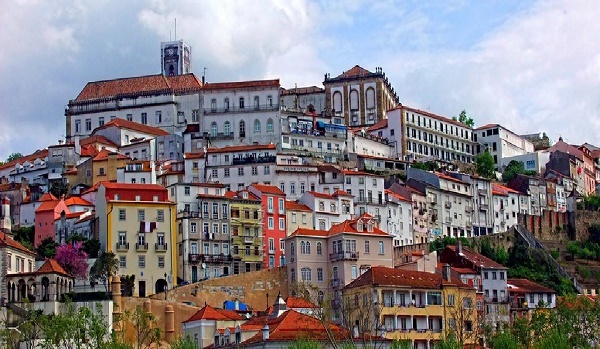 Sintra represents a spectacular view of the royal retreats exotic hills and tall castle. 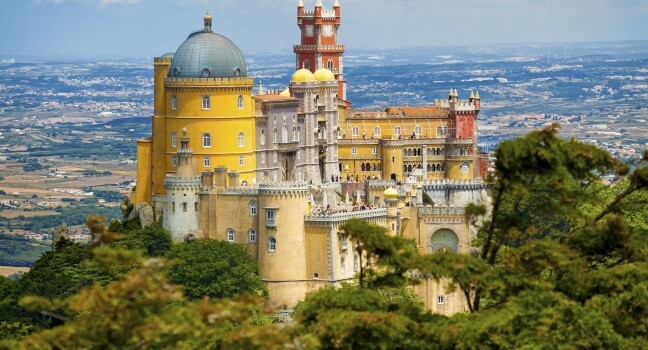 Situated at the top of the Monte da Pena, the palace was built on the site of an old monastery belonging to the St. Jerome. 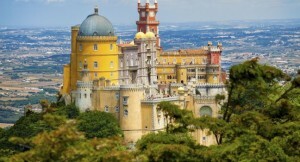 It was the result of the imagination of Dom Fernando of Saxe Coburg-Gotha, who married Queen Dona Maria II.After falling in love with Sintra, the convent and the surrounding land was used to build a summer palace for the royal family, which resulted in a somewhat unusual mixture of architectural styles. An English-style woodland park with a wide variety of exotic trees was also build there.The interior of the palace has a chapel, with a unique master piece dedicated to Nicolau Chanterenne, one of the famous architects in Lisbon. A restaurant is constructed to give a panoramic view of Serra de Sintra and the coast nearby. The couples enjoy here in the lap of nature and add memories to their trip. They spend quality time here enjoying in each other’s company. 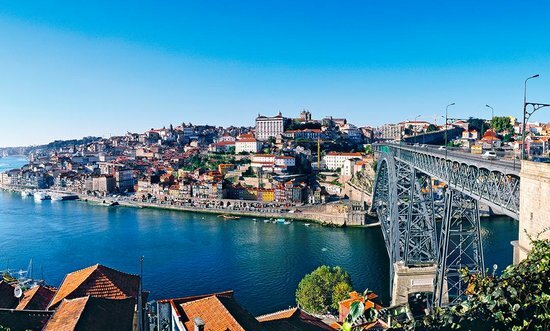 Gateway to the north of Portugal, Porto is both,a city that provides the nation with a name and a fine port wine known as Port worldwide. The second largest city sprawls upon the Douro River. This place is also lies in the UNESCO World Ancient Heritage Site .The city’s Cais da Ribeira riverfront is its most auspicious part. The area contains a mix of ancient narrow streets and ways with centuries-old buildings. The waterfront, and the harbor is filled with Rabelo boats and river trips ships. The riverfront area comes alive in the evening when numerous café’s, bars, and restaurants open. Couples wander along the Douro, hint of music drifts from the bars and cafes, and the smell of coffee and grilled fish fills the air making irresistible for the couples to get cozy. A small, happy town situated on the banks of the Mondego River . Coimbra is houses a treasure full of historic sites, beautiful gardens. Unique fado music is the USP of this place. This most romantic place also has lively culture that revolves around Europe’s oldest universities. One of the best things to do in Coimbra is to simply lost and explore the historic attractions from the stunning Old Cathedral via the Gothic Monastery of Santa Clara-a-Velha. Couples who visit here experience a never forgetting experience. 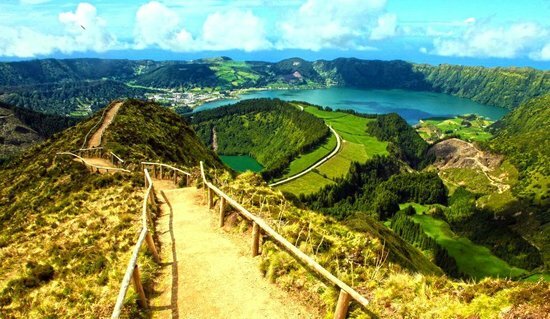 Azores is composed of 9 volcanic islands in the Atlantic Ocean, located about 1,500 km (930 miles) west of Lisbon. 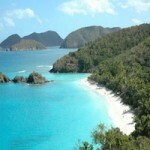 This place is famous for world-class whale watching, mineral springs, and seaside towns. 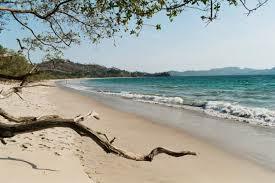 This place also houses many island and has its own fascinating identity. São Miguel is one of the largest islands of the Azores. It’s also known as “The Green Island”. Pico is a place that houses the highest mountain in Portugal. 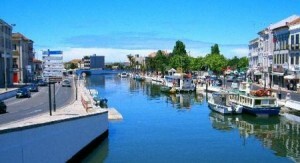 Aveiro is one of the busy cities of Portugal. It surrounds the country’s Atlantic Coast in Central Portugal. This Romantic place is also known as the “Venice of Portugal” due to its unique view of scenic canals connected by charming bridges and doesigned with colorful gondolas and speed boats. 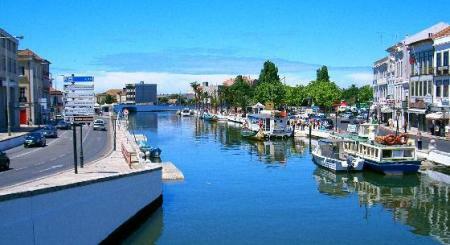 Historic sites, gorgeous beaches and tasty cuisine make Aveiro a popular tourist destination. Aveiro’s many beautiful places include the Aveiro Cathedral, the São Gonçalinho Chapel and the Convento de Jesus statue. These all offer lovely architecture and art works. A secret pathway designed to allure the lovers in a unique way. 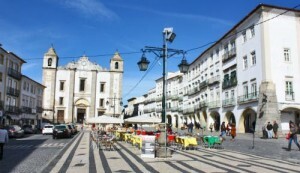 Evora is a small town in the Alentejo , lying in the southern region of Portugal, but it attracts huge tourist appealing for being a awesome holiday destination. Evora is a flourishing city under Roman rule. 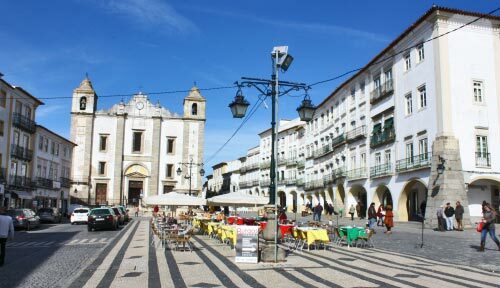 Today, Evora is the capital of the Alentejo region and is regarded for its well-preserved Old Town. It shelters more than 4,000 historic structures including the old Roman walls and temples. Another highlight is the 13th century Cathedral of Evora. One of Portugal’s most important Gothic structures. Not far outside the city is Europe’s largest complex of prehistoric megaliths that are also worth a look. A great way for honeymoon couples to experience an enthusiastic, romantic and comprehensive tour of Portugal. A never forgetting and an awesome place to spend quality time with the loved ones.